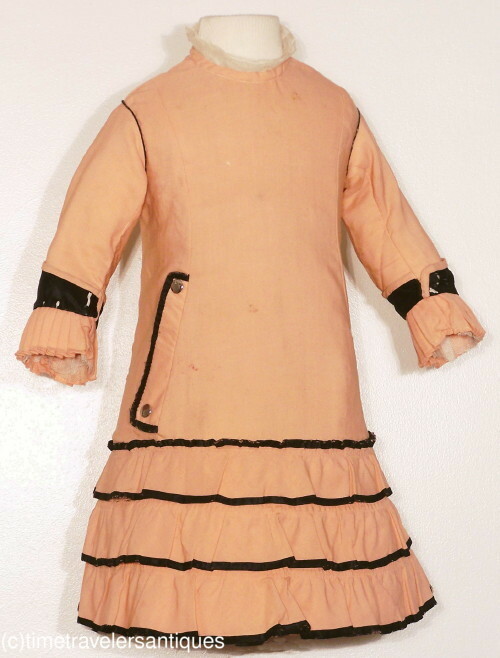 A sweet original circa 1880 little girl's peach wool challis one piece lined bustle dress with contrasting black binding accents, piped at the armscyes, and black silk taffeta bands above the pleated cuffs. Bright metal buttons at the faux flap pocket and at the back closure. A pleated back to the bustle with an accent bow, and a tulle insert at the neckline. Shown over a foundation that is not included. 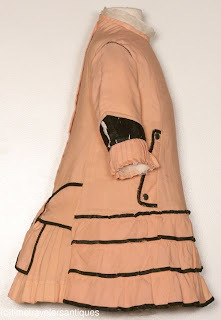 10" from shoulder to shoulder, a 24" chest and waist, and 23" from shoulder to front hem. 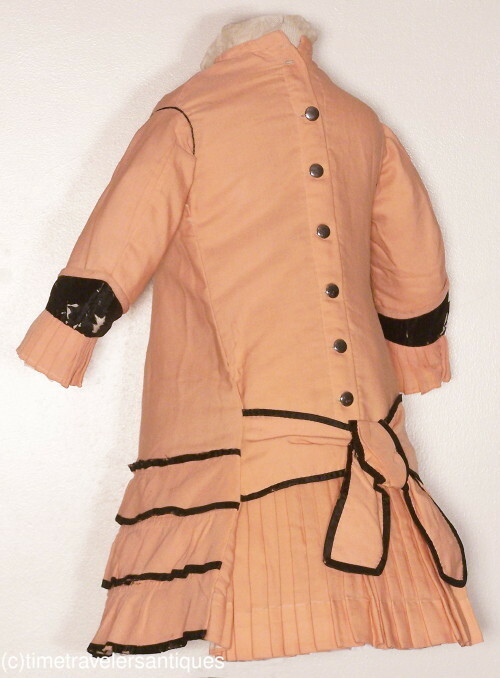 In clean as found condition, with scattered failure to the taffeta piping and accents, one missing button at the top of the back closure, and a few tiny age flaws and spots as shown. 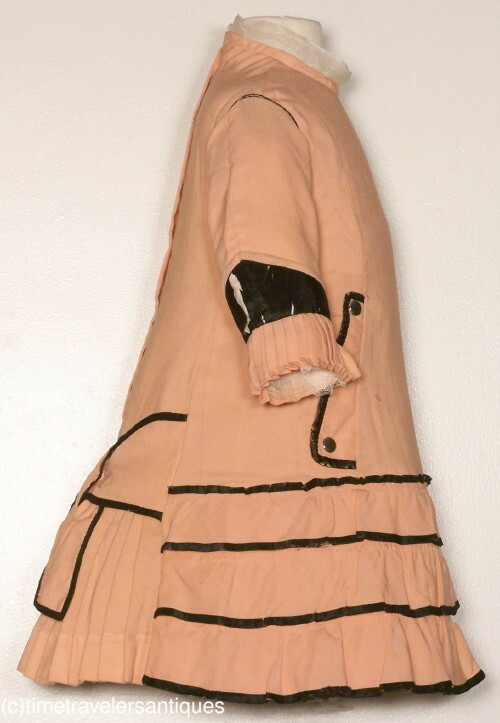 All is reflected in the reserve price for this bright little Winter time bustle dress. Isn't this sweet? Since it does look like it's for an older child and not a toddler, it probably was a little girl's dress.